There has been a little program that I’ve been using for years: Picasa. This last week I downloaded an update, Picasa 3, and it’s fantastic! This is a program that will change your life… or at least your computing life. Picasa is a photo management program from Google. It finds all of the images on your computer (even the long lost hidden pics) and allows you to view, edit, organize, print, etc… all through the Picasa interface. And the best part is because it’s from Google, it free! Unfortunately for Mac users, it’s not available yet. It’s just for Windows and Linux currently. Resize pictures for email: You can select images to email and Picasa will automatically resize them to a reasonable size for emailing. No more overloading other people’s inboxes. I’m Feeling Lucky: One of the cool editing buttons is I’m Feeling Lucky. It automatically adjusts the light and contrast and can balance out the colors from a flash photo.Below is a photo that I took on a piece of white poster board with natural light from a window and no flash. Then on the right is the same photo after using the I’m Feeling Lucky button. If you’re an Etsy user and uploading 5 pictures per piece, think about the time this will save you. 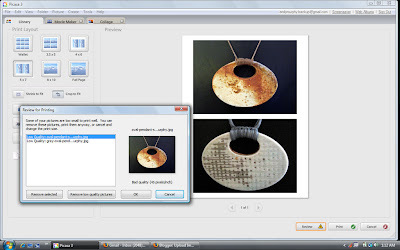 The Straighten Tool: I’m not sure if you can see this on the screenshot below, but another cool editing tool from Picasa is the Straighten Tool. It puts a little grid over your image and you can adjust the picture to go from crooked to straight with a click of the mouse. Think of all the askew images that you can fix! Print Screen: You might also notice all of the nice screen shots I have to illustrate what Picasa can do. Well, it’s one of the new tricks that came with the update. If you click the Print Screen button on your keyboard, the screenshot will automatically pop up in Picasa. I’ve been wanting to figure out a way to easily to do screen shots for years! There are so many times on this blog that I want to illustrate something with a screen shot – and now it’s easy! Print Photos: You can upload directly from Picasa to pretty much any of the online printing companies (Snapfish, Shutterfly, etc…), but you can also print using your printer. You’re given options for sizing and if you want the images cropped or shrink to fit. And it lays them out so you can cut them easily with a paper cutter. Low Resolution Warning: This might be hard to tell from the image below, but when you’re printing images and the resolution is too low for printing, it’ll warn you so you don’t waste ink of pixelated images. Create Collages: There are many collage options. Too many to go through. You can change the way the pictures are lined up, add borders of different sizes and colors, pivit or shrink or enlarge the images in the collage. Mosaic Grid: Another collage option is to create a mosaic. I forsee creating a lot of these collages in my future! There is a Shuffle Pictures option so you can mix up the images in the collage without having to start over from scratch. Text on Pictures: I had a show application a few months ago that required putting text on the digital images and it wasn’t an easy task. 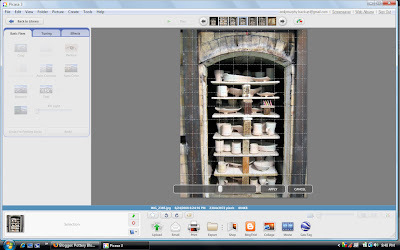 The Picasa 3 update now allows you to add text onto your image. You can change the font, size, color, etc… and make a spiffy show announcement. 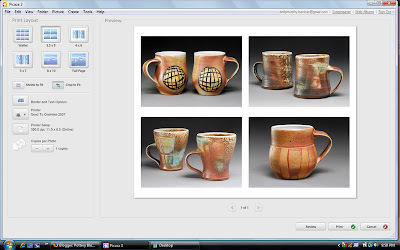 Web Albums: With Picasa you get some free online storage for uploading your digital images to share. Movie Editing: The Picasa update now includes movie editing. I haven’t used this yet, but I’ve been waiting for this feature! I have tons of little movies that I’ve taken with my camera but haven’t had a way to edit them yet. This isn’t a complete list of what Picasa does, but I tried to point out some of the tools that aren’t easily found elseware and are hard to live without. 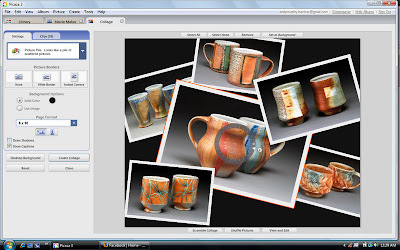 Download Picasa and give it a try. I think you’ll like it! What a great tutorial, thanks so much. 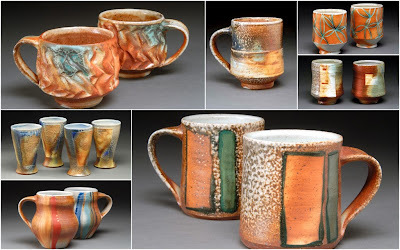 Love your pottery illustrations too. Wow this is great information even though I’m not quite there yet with all my blogging and photo’s. The info you share is so wonderful. I always enjoy your blog! Hey Jen – Trust me when I say you don’t have to be a “tech guy” to do this. Just by installing it, it automatically organizes your photos. Then you can start doing things that you thought only graphic designers and tech guys could do! Thanks so much for all of your informative info., I often wonder how you have time to do all of this????? I have been following your blog for roughly a year and it is never boring!! 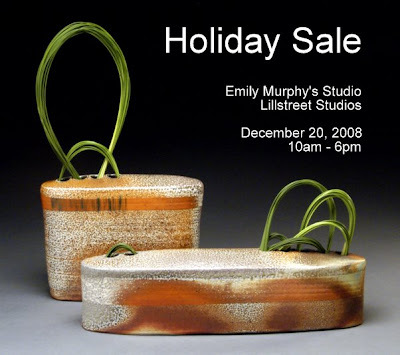 Keep up the invaluable info, awesome pottery and good luck on Etsy, I think you’ll be pleased! This came during the same week that I have been trying to figure out how to edit, compress, etc. photos for my new blog. It sounds so much easier and better than what I have been doing. People keep telling me to use Picasa and I have been meaning to look into it, but now, darn!, hopefully there will be a MAC version soon.